Run along the breathtaking view of waterfront residences and luxury yachts against the sunset sky! 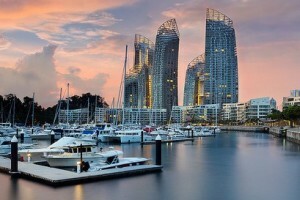 Keppel Bay was developed by Keppel Corporation to become Singapore’s premier waterfront precinct. 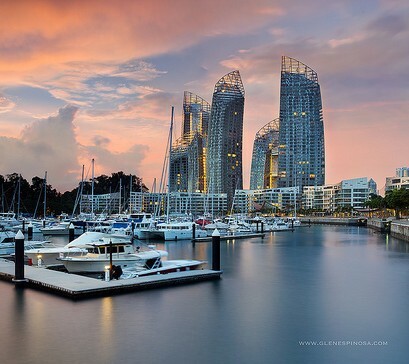 Presenting the best in waterfront and urban lifestyle, visitors to Keppel Bay can always expect to see yachts docked against the backdrop of the iconic Reflections at Keppel Bay and also the award winning condominium Carribean at Keppel Bay. Another iconic landmark is the Keppel Bay Bridge, which provides pedestrian and vehicular access, linking Marina at Keppel Bay and future waterfront residences on Keppel Island to the mainland. Enjoy the pleasant and seamless route which stretches more than 3 km round the Bay, from Reflections at Keppel Bay, through Caribbean at Keppel Bay, around the Keppel Island and to Keppel Bay Tower at the Harbourfront. You can start your route from either Harbourfront or Labrador Park MRT station, running along Telok Blangah Rd and end at the offshore island that serves mainly as a yacht harbour. Note that the shortest route from Harbourfront MRT to Keppel Island is only 1.2 km, but you are advised to explore around this incredibly scenic route for a more rewarding running experience.